Here we find the trombones, bass trombone and tuba of the Czech Philharmonic Orchestra in festive mode with a selection of rare Baroque composers - Johann Georg Christian Storl, Adam Michna, Johann Christoph Pezel and Pavel Josef Vejvanovsky - alongside Grieg and lots more. On some tracks they are joined by Marie Cerova, organ and Jan Prchal percussion. 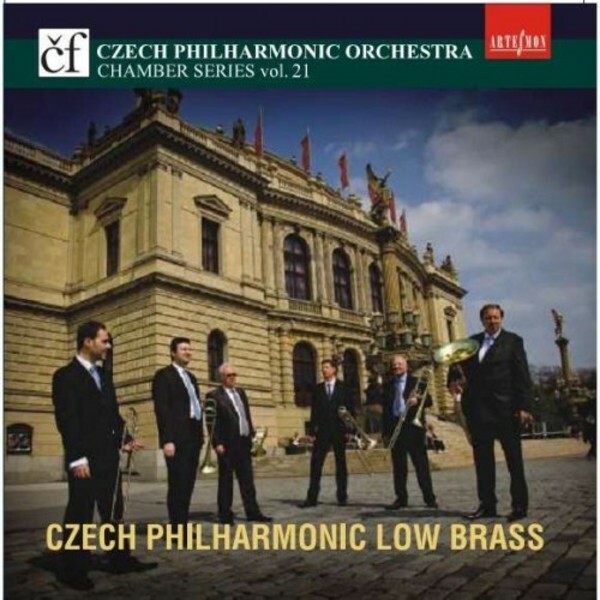 Low Brass continues the ongoing Artesmon series in which members of the Czech Philharmonic Orchestra perform in chamber music ensembles. This one ends with The Engine by Frantisek Kmoch. It is all played with real style, and since it was recorded in Prague's Rudolfinum, home of the Czech Philhamonic Orchestra, the sound is genuine Hi-Fi!